When pinning multiple pins or following multiple pinners with Pin4Ever’s power tools, you may encounter the dreaded Pinterest “slow down” message, and be blocked. This means that you exceeded the Pinterest.com speed limit, and you will probably have to wait at least an hour before you try again, and then go even slower. 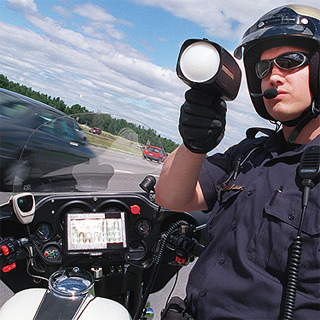 If you exceed the speed limit again, you may get blocked for 24 hours, or more. 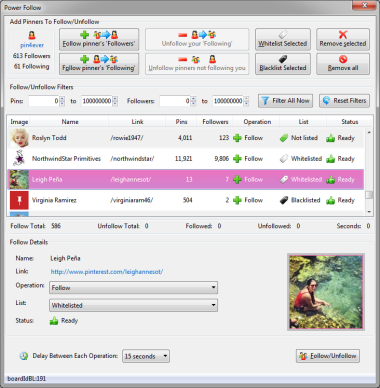 For using Pin4Ever’s Power Follow Tool, as of the date of this article, for established Pinterest accounts, Power Follow will currently do 300 follows within an hour (this will take approximately under 2 minutes on a high-speed internet connection); however, 301 follows in this same time period, will get you blocked for an hour. Or you can follow 240 per hour, steady, non-stop around the clock, which is about a 15 second delay, and not get blocked. When using other Pin4Ever tools that pin pins, such as Bulk Image Upload and Restore From Backup, we have yet to experiment with the pinning rates, but they are probably along the same lines. These rates are currently tied to your IP address, not to your account or your computer. What this means is that only so many pins and follows per house in a certain amount of time. Also, when you start a new account, those speed limits are much lower! 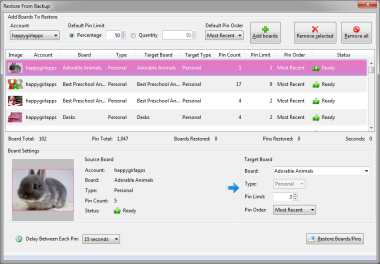 Running a backup of your pins with Pin4Ever’s Backup tool usually runs much faster, at about 500 pins per minute, depending on your physical connection speed to Pinterest, and whether or not you are pinning during a high traffic time. This tool is free to try for the first week, and you can view and keep your backups forever, without spending a dime. Please feel free to try Pin4Ever to test out the rates, and comment below on what you find out, and we will add your insights to this article. 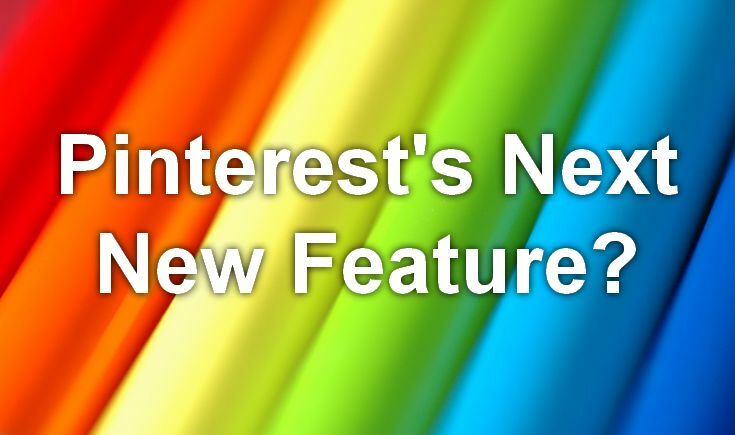 Keep in mind, that Pinterest seems to change things on a daily basis, as they reportedly have about 70 engineers on the payroll that need something to do, so these rates could be changing as I type! Some tests restoring pins to Pinterest using the Pin4Ever Restore From Backup feature reveal that about 88 continuous pins can be restored with no delay in between pins. After waiting a few minutes, anther 17 pins were able to be uploaded. Then setting the delay to 15 seconds between each pin, the speed limit was not exceeded until 74 pins were updated. So the pinning speed limit seems to be about a third to a fourth of the following speed limit. At the request of one of our best customers, I did another power follow test and was able to continuously follow an unlimited amount of users without Pinterest blocking me, when the delay was set at 15 seconds between follows. Remember, this following rate is per IP Address, so if you have multiple accounts and/or multiple computers in your house, they usually all share the same dynamic IP address assigned by your internet provider, and you only get so many follows per IP per hour (around 240).